Tufted hairgrass is a densely tufted perennial, with numerous tightly grouped stems growing in clumps up to 120 cm tall. 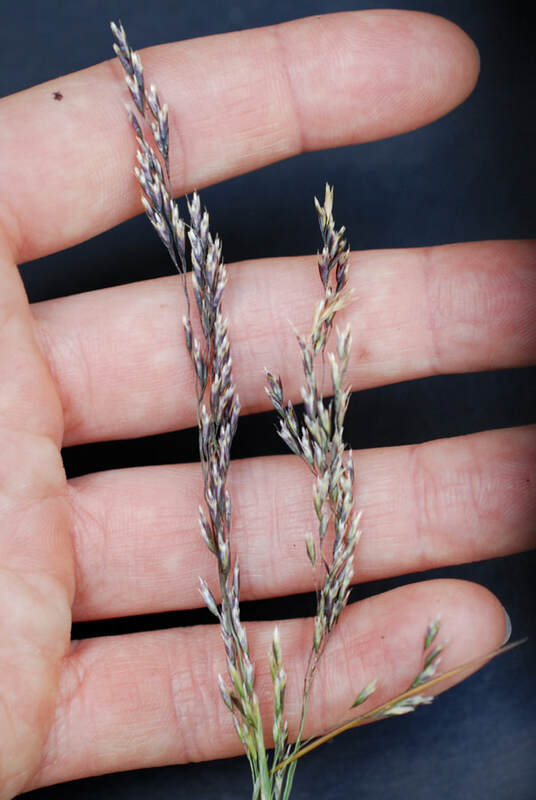 The leaves are very thin (3-5 mm) and flat to inrolled, with dark green blades with sharp points at the tips. The inflorescences are open, loose panicles 10-25 cm long. The flowers are shiny and colorful (with tones of gold, silver, purple, and green), and usually darken at maturity. 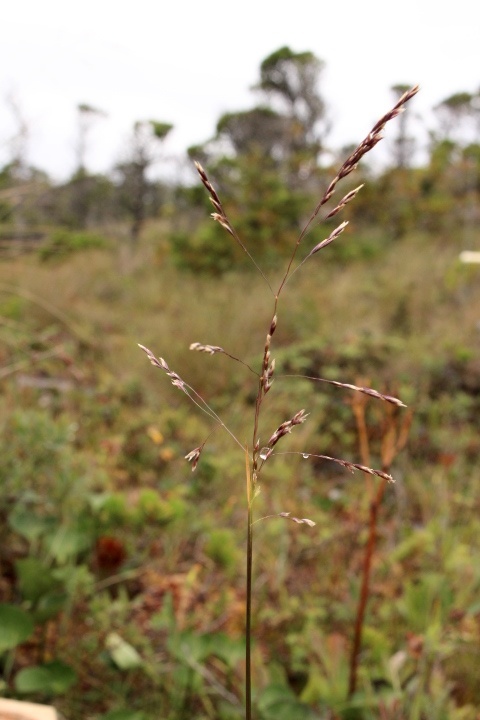 Tufted hairgrass persists in a wide range of habitats, from tidal marshes and beaches, to gravely banks and rocky ridges. It can grow in almost any elevation, from sea level up to 2,550 m. Its is found throughout the world: most of Eurasia, North and South America, Australia and New Zealand, Greenland, and parts of the Middle East as well as North and Central Africa. Tufted hairgrass is easily confused with tufed clubrush (Trichophorum cespitosum) and white beak-rush (Rhynchospora alba) when not flowering. Tufted hairgrass grows in a more tightly bunched, single tuft pattern with sharp pointed tips to leaves and smooth edges. It does not grow as large as tufted clubrush and will not clump and hummock like tufted clubrush. Tufted hairgrass grows in metal-contaminated soils, nutrient rich, nutrient poor, volcanic, and gravelly soils. It is often used as a decorative plant, but is a strong competitor and can become over-dominant. 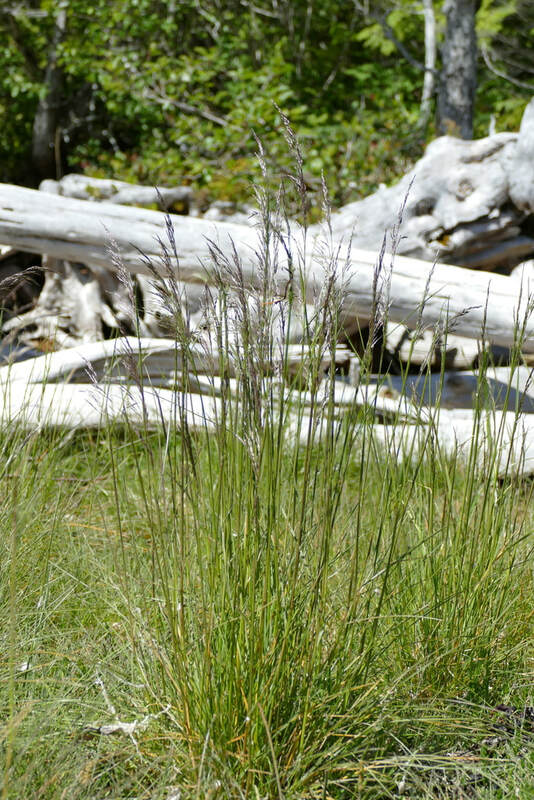 Tufted hairgrass is used in a variety of restoration efforts including revegetation of grassland, alpine, and boreal habitats; streambank and shoreline stabilization; and reclamation of acidic and heavy metal mine locations. It is also good forage for cattle and sheep, and wear-resistant varieties have been bred for golf and sport field turf. Deschampsia cespitosa. Gardens & Gardening. Missouri Botanical Garden. Accessed 26/08/2013. Deschampsia cespitosa (L.) P. Beauv. In Klinkenberg, Brian. (Ed.). E-Flora BC: Electronic Atlas of the Plants of British Columbia. Lab for Advanced Spatial Analysis, Department of Geography, University of British Columbia, Vancouver. Accessed 26/08/2014. Pojar, J. and MacKinnon, A. (1994). Plants of Coastal British Columbia. Vancouver, BC: Lone Pine Publishing. P. 384. TUFTED HAIRGRASS Deschampsia cespitosa (L.) P. Beauv. Plant Materials Centre, United States Department of Agriculture Natural Resources Conservation Service, Corvallis, Oregon. Accessed 11/02/2016. Xanthos, M., Davis, S., and Weech, M.-H. Deschampsia cespitosa (tufted hair-grass). Science and Conservation. Kew Royal Botanic Gardens. Accessed 26/08/2014. Nancy Shackelford, Kelly Fretwell, and Brian Starzomski (2014).